This weeks reading is a double portion taken from Parshiot Behar and Bekhukotai (Vayikra / Leviticus 25:1-27:34). In this week’s reading we find the mitzvot concerning entering the Promised Land to observe the Yovel year (Jubilee). The year of Jubilee begins with a joyful shout and with trumpets. During this year, the land is to be fallow, not to be seeded (25:1-12), all property is to revert back to its original owner (25:13-28), all slaves are to be set free (25:39-54), and all debts are to be released. The year of Jubilee is a very important festival. Within this set of commands, the Lord says 25:14 ‘If you make a sale, moreover, to your friend or buy from your friend’s hand, you shall not wrong one another. (NASB) In Vayikra / Leviticus 25: 12, we read, כִּי יוֹבֵל הִוא קֹדֶשׁ תִּהְיֶה לָכֶם meaning “the Yovel (Jubilee), he is to be holy to you.” The idea is that this year is to be Kodesh (קֹדֶשׁ) “Holy,” a time of separation, where the land is to be set apart for the Lord. In addition, the idea behind this is not to wrong one another by fixing an unfair price. The reason the land is sold is due to debt. When one fell into debt they may have to sell their ancestral property as we read in Vayikra / Leviticus 25:25 ‘If a fellow countryman of yours becomes so poor he has to sell part of his property, then his nearest kinsman is to come and buy back what his relative has sold. (NASB) In the time of Jubilee, one’s debt may be so great, that a goel is needed to buy back, or redeem one’s ancestral land. This is so the land is kept within the family and the tribes of Israel would maintain their inheritance that has been given from the Lord. The debt of an individual may however be much greater than simply selling one’s ancestral land, one may also need to sell himself as a debt-slave. When this happened the goel (kinsmen-redeemer) was called upon to rescue their kinsman from debt-slavery by buying him back, as is described in Vayikra / Leviticus 25:47 ‘Now if the means of a stranger or of a sojourner with you becomes sufficient, and a countryman of yours becomes so poor with regard to him as to sell himself to a stranger who is sojourning with you, or to the descendants of a stranger’s family, 25:48 then he shall have redemption right after he has been sold. One of his brothers may redeem him, (NASB) Thus, the basic idea of “redemption” is rooted in the notion of debt-slavery. In addition, the land is also understood from a similar context. During sowing and reaping, the land is constricted to produce crops. The land is therefore in a form of slavery and the Torah command indicates there is one year that it is to be set free so the land may rest. Thus, to be “redeemed” or “ransomed” is to be purchased back from slavery, of both property and person. The one who makes the payment is the goel (the kinsmen-redeemer). The Goel (גאל) is a Hebrew term meaning “redeemer,” which according to Scripture and rabbinic tradition, denotes a person who is the nearest relative, is charged with the duty of the restoration of property, from slavery, and for avenging wrongs committed against his people (tribe). In the Authorized King James Bible, and other modern bibles, the word “Goel” is rendered as “kinsman,” “redeemer,” and “avenger.” In the book of Isaiah (see Isaiah 49:26, 59:20, 63:16) the Lord God is called the Goel of Israel (Isaiah 49:26 ‘I will feed your oppressors with their own flesh, And they will become drunk with their own blood as with sweet wine; And all flesh will know that I, the Lord, am your Savior And your Redeemer, the Mighty One of Jacob.’ NASB, כו וְהַאֲכַלְתִּי אֶת-מוֹנַיִךְ אֶת-בְּשָֹרָם וְכֶעָסִיס דָּמָם יִשְׁכָּרוּן וְיָדְעוּ כָל-בָּשָֹר כִּי אֲנִי יְהֹוָה מוֹשִׁיעֵךְ וְגֹאֲלֵךְ אֲבִיר יַעֲקֹב:) Notice all of the aspects of the Goel are found here in Isaiah 49:26; He (the Lord) is the One who takes revenge, the One who Saves, and the One who Redeems. That may be why the Apostle Paul wrote in Romans 12:19 Never take your own revenge, beloved, but leave room for the wrath of God, for it is written, “VENGEANCE IS MINE, I WILL REPAY,” says the Lord. (NASB) This very fittingly may be applied to the Lord God in heaven since the Goel is involved in redeeming His people from captivity. In Jewish eschatology, the term mashiach, or “Messiah,” came to refer to a future Jewish King from the Davidic line, who is expected to be anointed with holy anointing oil and rule the Jewish people during the Messianic Age. The Messiah is often referred to as “King Messiah” in Hebrew, מלך המשיח (melekh hamashiach), and in Aramaic, malka meshiḥa (מלכא משיחא). Orthodox views have generally held that the Messiah will be descended from his father through the line of King David, will gather the descendents of Jacob back into the Land of Israel, usher in an era of peace, build the Third Temple, father a male heir, and re-institute the Sanhedrin, among other things. The rabbinic expectation of the Messiah is derived from the Davidic covenant. The Davidic Covenant refers to God’s promises to David through Nathan the prophet which is found in 2 Samuel 7 and summarized in 1 Chronicles 17:11–14 and 2 Chronicles 6:16. In this covenant, the Lord God said that through the line of David the Messiah would come. From the lineage of David and the tribe of Judah the Messiah would come and would establish a kingdom that would endure forever. This is why the rabbis say in Midrash Tehillim 67, Part 1 that “through Judah will God be known.” The Davidic Covenant is considered unconditional because the Lord does not place conditions of obedience upon its fulfillment meaning that the surety of the promises that were made to David rests solely on God’s faithfulness to David. The Davidic Covenant centers on several key promises that are made to David; the Lord affirms the promise of the land that He made to Abraham and at Sinai drawing us back to a Torah context. This promise is seen in 2 Samuel 7:10, where the Lord says through the prophet, “I will provide a place for my people Israel and will plant them so that they can have a home of their own and no longer be disturbed. Wicked people will not oppress them anymore.” The Lord promises that David’s son will succeed him as the king of Israel and that this son (Solomon) would build the temple, 2 Samuel 7:12-13 “ I will raise up your offspring to succeed you, your own flesh and blood, and I will establish his kingdom. He is the one who will build a house for my Name.” The promise continues and expands saying, “I will establish the throne of his kingdom forever” (7:13), and “Your house and your kingdom will endure forever before me; your throne will be established forever” (7:16). The promise that David’s son Solomon would be blessed and build the temple becomes the promise of an everlasting kingdom. According to the promise given to David, another “Son of David” would rule forever and build a lasting House. This is a reference to the Messiah, where Yeshua is called the Son of David in Matthew 21:9. The idea that David’s “house,” “kingdom,” and “throne” will be established forever is significant because it shows that the Messiah will come from the lineage of David and that He will establish a kingdom from which He will reign. The manner in which the promise is written seems to summarize the intent the Lord God has in the Messiah Yeshua. The covenant is summarized by the words “house,” promising a dynasty in the lineage of David; “kingdom,” referring to a people who are governed by a king; “throne,” emphasizing the authority of the king’s rule; and “forever,” emphasizing the eternal and unconditional nature of this promise to David and to Israel. In addition, others (the prophets and the disciples) refer back to this covenant in the books of Jeremiah 23:5, 30:9, Isaiah 9:7, 11:1, Luke 1:32, 1:69, Acts 13:34, and Revelation 3:7. As a result of the Torah descriptions of the Goel, He (the Lord) is the One who takes revenge, the One who Saves, and the One who Redeems. (Take note of 2 Thessalonians 1 Paul describes Yeshua being revealed from heaven in blazing fire, which is symbolic of judgment.) The Scriptures also list the Lord God Almighty as the redeemer of Israel in Isaiah 49:26, 59:20, 63:16, Job 19:25, and Luke 1:68-75. Coupled with Judaism’s Messianic expectation of the Messiah, we find within the Apostolic Writings a significant amount of literature that compare Yeshua the Messiah to the Goel in whom the Lord God Almighty, our Father in heaven, sent to redeem Israel. In 1 Corinthians 1:30, we are told that Yeshua is our redeemer (1:30 But by His doing you are in Christ Jesus, who became to us wisdom from God, and righteousness and sanctification, and redemption, NASB). This concept of the redemption of Israel in the Messiah is expressed in the following verses. Paul in Romans 3 describes the debt that we have before God due to our sin and how the Messiah Yeshua redeems us from that debt. What is the debt we have before the Lord God in heaven? In Titus 2 and Galatians 3 and 4 states that we are redeemed from lawless deeds (sin) and that Yeshua has redeemed us from the curse of the Law, in the sense that by our sins we are guilty before God. (Note that the curse comes by reason of disobedience ‘sin’ according to the Torah. Paul is not saying the Law is a curse.) Paul to the Colossians says that Yeshua rescued us from this present evil age. Peter says that we were redeemed by blood. Note how he mentions that one is judged by his works, and that we were not redeemed by silver or gold, as in the case of the human Goel with regard to the earthly things. Yeshua’s redemption (the Messiah’s redemption) takes on a spiritual aspect. As a result the Goel takes upon a much broader aspect in the Apostolic Writings having both earthly and heavenly responsibilities. A very important observation on the Goel, according to Jewish tradition, when there was no heir, the court had the right to assume the position of the “goel.” This draws in the concept of the “heavenly court” making every man, woman, and child guilty before God due to sin. The Torah states that the blood-revenge was applicable only to the person of the guilty man and not to the other members of his family (Devarim / Deuteronomy 24:16 ‘Fathers shall not be put to death for their sons, nor shall sons be put to death for their fathers; everyone shall be put to death for his own sin. NASB and 2 Kings 14:6 But the sons of the slayers he did not put to death, according to what is written in the book of the Law of Moses, as the Lord commanded, saying, ‘The fathers shall not be put to death for the sons, nor the sons be put to death for the fathers; but each shall be put to death for his own sin.’ NASB) The intent was to prevent generational feuds, where only the guilty would die and not the entire family. In addition, the king himself, as the highest judicial authority, was also entitled to take control and guide the blood-revenge (2 Samuel 14:8). The following example from King David’s live illustrates this point. Here in 2 Samuel 14:4-19, the woman is speaking to David regarding the avenger of blood and Joab. She attempts to draw a parallel to the Lord God who causes one to be exiled or cast out, but does not take away life which allows for the possibility of the goel to come and redeem the one in exile. She is calling upon the Lord and using His example of mercy on Israel. From this idea of the human goel as a redeemer of his kinsmen in their times of trouble, there are to be found many allusions to the Lord God Almighty as the Divine Goel, who is involved in redeeming His people on a national scale (compare Shemot / Exodus 6:6, 15:13, and Tehillim / Psalms 74:2), and on an individual scale where the people themselves become the “redeemed” ones (Tehillim / Psalms 107:2 and Isaiah 62:12). The reference to the Lord God as the Goel, the one who would “redeem” His people was applicable to the relationship between the Lord and Israel in the period of the Babylonian exile. During the Babylonian exile, the people would have actually looked to the Lord God to restore their land to them, and the impoverished individual looked to his kinsman to secure a restoration of his inheritance. Up until which point should he recite? The House of Shammai says: Up to ‘as a happy mother of children’. The House of Hillel says: Up to ‘flint stone into a water-spring’, and conclude with the blessing of redemption. Rabbi Tarfon says: ‘who redeemed us and our ancestors from Egypt’, but without a concluding blessing. 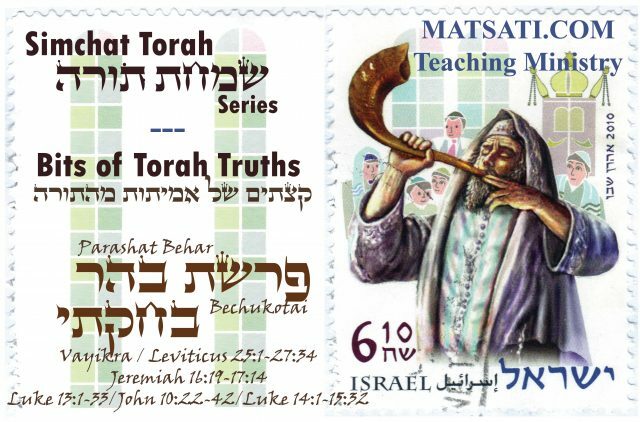 Rabbi Akiva says: ‘O YHVH our God and God of our ancestors–may we come to reach other seasons and festivals in peace, joyful in the rebuilding of your city, and jubilant in your Temple service, where we will eat from the offerings and Passover sacrifices etc.’ until ‘Bless you YHVH, Redeemer of Israel.עד היכן הוא אומר, בית שמאי אומרים: עד אם הבנים שמחה, ובית הלל אומרים: עד חלמיש למעינו מים. וחותם בגאלה. רבי טרפון אומר: אשר גאלנו וגאל את אבותינו ממצרים, ולא היה חותם. רבי עקיבא אומר: כן ה’ אלהינו ואלהי אבותינו יגיענו למועדים ולרגלים אחרים הבאים לקראתנו לשלום, שמחים בבנין עירך וששים בעבודתך, ונאכל שם מן הזבחים ומן הפסחים כו’, עד ברוך אתה ה’ גאל ישראל.